"I chose to study at Plymouth University as it is located in a beautiful city and is relatively quiet, safe and peaceful. The University was also recommended to me by my tutor at my college in Hong Kong. I wanted to study environmental protection because I wanted to promote this to the public and know more about the environment and what I can do. The teaching style in Plymouth was very different to my previous studies but the course structure was very clear; it took a little while to adapt to the style and the language but I took it step by step and carried on. Talking to other people and joining in school activities to meet more people really helped me to adjust culturally to life in Plymouth – most of the people in Plymouth are nice and friendly. I also received English support from the English language centre; the teachers there are very kind and helpful. I took part in volunteering activities arranged by the University which enabled me to do some things that I had never tried before. 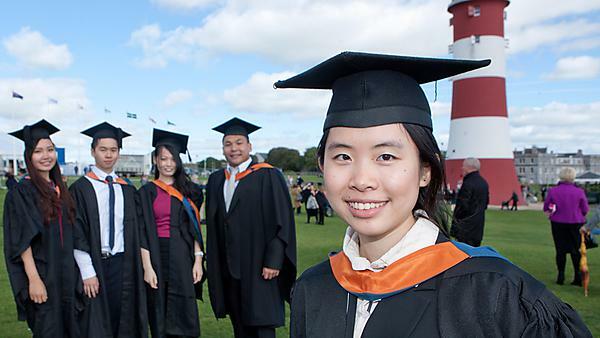 My advice to anyone considering studying the same course at Plymouth – the course can open your eyes, just keep going out and enjoying your life in Plymouth. There is a lot of self-study, you need to keep up-to-date with news about environmental issues, so be prepared to do some reading. I have now returned to Hong Kong and am studying a Master of Science in Environmental Management at Hong Kong University."